News that Star Wars: The Force Awakens will open in December 2015 has sent fans of the futuristic Science Fiction franchise into meltdown but just as eagerly awaited is the soundtrack. The sight of the legend ‘Music by John Williams’ on the credits has all the Bad Robots freaks leaping for joy. John Williams isn’t just a soundtrack composer; he is the undisputed master of the film score. He is also a composer of contemporary classical music with a post-romantic style and a grand conductor, pianist and jazz buff who used to play piano for Mahalia Jackson. He really is Dr. Music. Now aged 83 he remains an extraordinary force of nature in his field. His long-standing relationship with Stephen Spielberg is a given, ditto his work for George Lucas and more, recently the ever so slightly popular Harry Potter movies. Mr Williams has won five Academy Awards and four Golden Globe Awards in the States. He has seven British Academy Film Awards and holds an unprecedented 22 Grammy Awards. Away from the razzmatazz his recording career goes back to the 1950s and encompasses concertos, orchestral and chamber works and gospel music. To pick at random – and his discography is truly vast – his tribute to Leonard Bernstein, For New York, which aired in 1988, featured him conducting the Boston Symphony Orchestra. American Journey (1999) is another triumph, commissioned by then President Bill Clinton for the USA’s official Millennium celebrations. John Williams is an American icon with honours from the International Olympic Committee to sit next to gongs like the Grammy Award for Best Instrumental Composition for his scores for Star Wars, Close Encounters of the Third Kind, Superman, The Empire Strikes Back, E.T. The Extra-Terrestrial, Angela's Ashes, Munich, Indiana Jones and The Kingdom of the Crystal Skull and The Book Thief. And that is just cherry picking. No doubt you will have favourite soundtracks of his that cover more esoteric ground - The Eiger Sanction, say, but there is no denying that his ‘themes’ for Jaws, Close Encounters Of The Third Kind, Star Wars, E.T. The Extra-Terrestrial and the Indiana Jones films are vital conduits to the action. They make the hair stand up on the nape of the neck and give a promise of what’s to come in the following hours. That’s not just a rare gift; it is the mark of a genius. Born John Towner Williams in 1932, Floral Park, New York (situated in Nassau County, on Long Island) he was immersed in a musical environment since his father was a jazz percussionist. Aged 16 John moved with the family to Los Angeles. He attended North Hollywood High, a hot bed school for the children of movie folk, musicians and top sports stars. He graduated from the University of California, took the draft for the U.S. Air Force (he conducted and arranged as part of his assignment), and then entered The Juilliard School back in NYC. Between studies Williams played jazz piano in the city clubs and studios and struck up a friendship with Henry Mancini. That man’s invigorating lightness of touch was an influence in some manner but Williams became more steeped in so-called neo-romanticism – the big stuff we associate with 19th century composers like Richard Wagner and Tchaikovsky. Other inspiration were fellow composers Franz Waxman, Bernard Herrmann (Alfred Hitchcock’s musical maestro) and Alfred Newman, so elements of experimentalism and cinematic mood changes were soon in his repertoire. Add to that his work for Jerry Goldsmith and Elmer Bernstein (as well as Mancini) and you hear his style emerge on the scores for Peter Gunn, Days of Wine and Roses and Charade. TV work bolstered his aspiring movie career and his versatility was so apparent that his schedule became the envy of many a Hollywood composer. So while he also had what might be called a solo life his time was divided between glittering worlds of small and large screen. With Valley of the Dolls and Goodbye Mr. Chips under his belt Williams entered the 1970s with the lavish Jane Eyre soundtrack. Cinderella Liberty (1973) and The Eiger Sanction, starring James Caan and Clint Eastwood respectively, are for the connoisseur but they are wholeheartedly recommended for discovery now. And so to what may be the most recognizable musical theme of all, Jaws. The shark theme, a clever reinterpretation of the shower scene in Psycho is the ultimate in classic suspense and imminent danger and on release had audiences transfixed, or in many cases, hiding behind their cinema seats! Fantastic. In terms of official recognition Williams’ original motion picture soundtrack to Star Wars (1977) has been even more feted with the American Film Institute citing its stirring score as the most memorable in any US film. 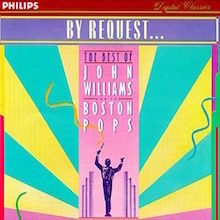 Amazingly that same year Williams composed, conducted and produced the music to Close Encounters Of The Third Kind, offering another iconic statement for popular culture with the “five-tone” motif whose arrival during the key moment of contact with the alien life force will still bring a tear to the eye. Jaws 2 and Superman: The Movie kept him on a roll that is unlikely to be equaled. The former is even more terrifying in parts and typifies hair-raising suspense. How does he do that! Whatever the answer he continues to do it with mindboggling regularity. 1941, Star Wars: The Empire Strikes Back and Raiders Of The Lost Ark are indicators of a composer who knows how to push the right buttons with themes that are full of exploratory promise, patriotism, derring-do and a sheer musicality that has movie-goers humming their way home with those JW ear-worms that just won’t go away. E.T.’s sweetness reveals another side of Williams and like most of his work from this era it is available in remastered formats. As a measure of merit the score was the fourth in history to accomplish the feat of winning the Oscar, Golden Globe, Grammy, and BAFTA (the previous two, Star Wars and Jaws, were also composed by Williams, who remains the only person to have won all awards for the same score more than once). To date, a total of only six scores have won all four awards. 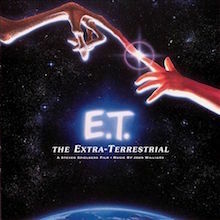 Rock fans might like to note that Williams produced the E.T. score with Bruce Botnick in Los Angeles. Botnick was the long time Doors engineer who produced their L.A. Woman album. 1984’s Indiana Jones And The Temple Of Doom has all the reassuring ingredients of the franchise in John’s music but Empire of the Sun, directed by Stephen Spielberg, is more traditionally classical. In the 1990’s there are many albums to discover and enjoy: Jurassic Park and Schindler’s List are darker in tone. The former is recommended in the 20th Anniversary Edition from 2013 where the digital download includes extra tracks selected by the composer. The Lost World: Jurassic Park also has a digital download reissue. Seven Years in Tibet, Amistad and Saving Private Ryan presage a move for Williams’ output to DreamWorks while The Patriot theme (2000) has entered US folklore since it was used after Barack Obama’s victory-speech as President-elect of the United States eight years later. Incredibly, Williams work soars again on Minority Report, which is arguably his most compellingly atmospheric score of all, combing modernism with his hand picked classical choices and an overall score that pays homage to the spooked scene setters of Bernard Herrmann – specifically North by Northwest and Psycho, also the creepy FX used on The Birds. Great film, great soundtrack. Williams wrote all the orchestral pieces for the highly entertaining Catch Me If You Can (2002), starring Leonardo DiCaprio, Tom Hanks, Christopher Walken, Martin Sheen and Amy Adams. He evidently enjoyed himself doing the light romantic comedy The Terminal but got firmly stuck into a return to frightening crescendos for War of the Worlds where his mastery of musical scare tactics and rhythmic switch-hitting are integral to the action. Many think he should have snapped up the Oscar for Best Original Score on Munich, one of Spielberg’s most underrated films. He is back on home turf with the ever-popular Indiana Jones and The Kingdom of the Crystal Skull but out of his comfort zone on The Adventures of Tintin (2011), his first animated film. Most of the score was written while the film's animation was still in the early stages, with Williams attempting to employ "the old Disney technique of doing music first and have the animators trying to follow what the music is doing". Naturally, he pulls it off. In 2015 John’s original themes were the musical highpoint of Jurassic World but it is Star Wars: The Force Awakens that is rocking the world of fans of the galaxy far, far away. With new themes and an evolutionary writing process at the bridge this has got to be the movie event of the year, bar none. And who better than the emperor of the soundtrack to guide us into the land of the Jedi… May the force be with him for years to come. To coincide with the re-release of a new version of E.T. with previously unseen footage and a digitally remixed soundtrack, this CD -- digitally remastered and remixed, natch -- was issued. The big (well, rather small actually) bonuses this time around are three previously unreleased selections from the score, boosting the track total to 21. Judged purely by the standards of soundtrack music, John Williams' score is nothing special. Its languorous orchestration is delivered with a good deal of restraint, to convey the mystery, uncertainty, and sometimes unease of a melodramatic film about the discovery of extraterrestrial life. Indeed at times you'll be wondering if the volume on your stereo has been accidentally lowered, as some sections fall toward the threshold of audibility. Only occasionally does the mood become jubilant or overtly sentimental. It's for the most part unobtrusive background moods for the film's story, more comforting than eerie, whether or not that was the intention. At 75 minutes of running time it's good value, though. 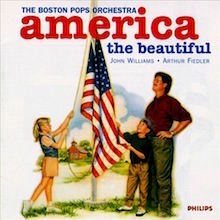 America the Beautiful is a collection of "typically American" songs performed by the Boston Pops Orchestra. Only a few selections are overtly patriotic ("American Salute (When Johnny Comes Marching Home)," "Battle Hymn of the Republic," and the title track); the main focus of the program is on quintessentially American composers such as Aaron Copland ("Fanfare for the Common Man," "Hoedown"), George Gershwin ("Strike Up the Band"), John Phillip Sousa ("The Stars and Stripes Forever"), Irving Berlin ("Alexander's Ragtime Band"), Scott Joplin ("The Entertainer"), Charles Ives ("Variations on 'America'"), and Meredith Willson ("Seventy-Six Trombones"), as well as traditional songs like "Prayer of Thanksgiving" and "When the Saints Go Marching In," plus the Woody Guthrie folk standard "This Land Is Your Land." While most of the material isn't exactly unfamiliar, that actually works in the disc's favor -- it comes off as a showcase of the range and depth of talent in American popular composition, and it's a fitting tribute. Often the concert arrangments and performances are of a better quality than the originals. 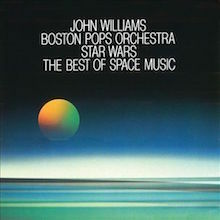 In any case, this CD is a great collection of not only Star Wars music but also includes other classic Williams movie themes such as Superman, ET, and Close Encounters of the Third Kind. Superb! 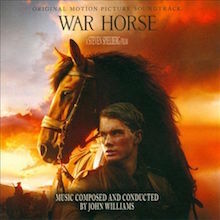 The plot points in director Steven Spielberg's 2011 film adaptation of the children's novel War Horse (which is separate from the stage adaptation that won the 2011 Tony Award for best play) are traced in the background score composed, as usual for a Spielberg project, by veteran John Williams. Williams' early cues, starting with "Dartmoor, 1912," have a warm Celtic feel, the full symphony orchestra playing a theme that recalls folk tunes like "Danny Boy" and "Greensleeves." 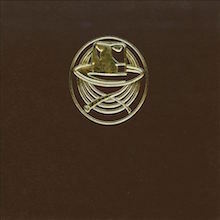 The warmth continues with "Bringing Joey Home, and Bonding," the second part of which employs a playful bassoon theme. But the bucolic mood gradually darkens in this story of a boy and his horse that takes a turn in a track called "Ruined Crop, and Going to War." After Joey, the horse, is sent off to World War I, Williams' music naturally takes on tension-filled and action-defining sections, particularly in "The Charge and Capture." After something of a respite in "Joey's New Friends," the height of violence seems to be reached in "No Man's Land," a thrilling performance. Thereafter, Williams slowly returns to the Celtic tones from the outset, finally restoring the main theme for the closer, "The Homecoming." This is certainly not one of Williams' light adventure scores à la Star Wars or Raiders of the Lost Ark, nor horror music such as Jaws. Rather, it contains both homey and disturbing parts, within the overall context of an old-fashioned orchestral movie soundtrack. 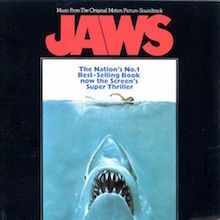 John Williams' first film score to capture the imagination of the public, and the first hit movie score of the 1970s not to involve a love theme (à la Love Story), Jaws has been on CD for more than a decade, but this is the first release that really does it justice. The centerpiece of the music is the bump-bump-bump-bump theme associated with the movements (usually unseen) of the shark, which became so well known that it was used as an essential part of various comedy sketches in a multitude of media at the time (Williams himself quoted it comically in his scoring for Steven Spielberg's 1941). It does reappear in numerous forms (many of them veiled) throughout the score, along with a handful of additional memorable musical phrases associated with Williams' score, many involving the hunt for the shark. The anniversary edition of the score not only features the familiar portions of the original album, which didn't amount to 40 minutes of music, but 15 minutes or more of Williams' score from the actual film, and also music that was written and recorded for the movie but dropped from it. Little is totally unfamiliar, but the 24-bit remastering off of the original tapes adds fresh luster to the recording and the music. It's doubly interesting, hearing the music uncut and remastered, to realize anew just how many of the effects that turn up at key points in this score Williams reused in his music for Close Encounters of the Third Kind and other scores of his. This was not only where Williams' career as a superstar soundtrack composer began but also where he first started using the musical attributes that would identify that phase of his career. When John Williams received his 29th Academy Award nomination for Schindler's List, he had already won Oscars for Fiddler on the Roof, Jaws, Star Wars, and E.T. : The Extra Terrestrial. He had long been an automatic nominee, but as Hollywood's most honored working composer it was generally believed that it would take an extraordinary addition to his legacy for the Academy to award Williams a fifth trophy. Schindler's List would prove to be that extraordinary work -- and not just because of the enormous historical and social import of the film and it's subject, though those factors could only have strengthened Williams appeal to Academy voters. Schindler's List feels like his attempt at a magnum opus. Though even simpler in its melodies and themes than some of his famous sweeping popcorn movie scores, it carries the ambition of a major symphonic composition. This is especially true in the segments that are graced with exquisitely rich and evocative violin solos by world famous violinist Itzhak Perlman. 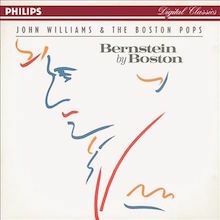 Perlman's masterful performances give Williams' compositions an authenticity and grounding that offsets the composer's predilection for sentimentality and bombast. "Restraint" was the word that appeared most frequently in discussions of Steven Spielberg's Holocaust epic. The critical consensus was that the director had managed to depict the horrors of the greatest tragedy in world history without giving in to his customary urges to tug transparently at the heart strings of his audiences. In truth, Spielberg was only able to exercise restraint through the first two and a half hours of the film; he ended up throwing it out the window in the maudlin conclusion. Williams, too, is guilty of indulging in emotional excess. Which isn't surprising when you consider that his music has always been one of Spielberg's most effective heart-tugging tools. Like the film itself, his score is best at its simplest, deriving its emotional power from the events it depicts and bearing in mind that audiences do not need help from filmmakers and composers in order to be emotionally affected by the Holocaust. John Williams is a god. Plain and simple. There is no other way to put it. The most famous pieces of music from a movie in the last 27 years or so has come from him. The music that totally [stinks] you in and brings you totally in the moment. If you need the kind of music that guarantees that kind of reaction, John Williams is your man. The music that he has done that has brought him to this status is all here. Who can forget the menacing terror of the "Jaws" theme?. It is, quite simply, the most famous piece of music to induce terror since the shower scene music from "Psycho". If not more. Everything else here is all just as good. The heroic theme to "Superman" is easily the best theme song for a superhero ever created. The theme for "Indiana Jones" is a close runner for that too. You can't listen to these two powerful scores and not get goosebumps. This is what film scoring is all about. Who could forget his theme to "Star Wars"?. Brilliant. The music the spaceship played in "Close Encounters Of The Third Kind"?. Unforgettable. The beautiful score for "E.T." is also here. His work just doesn't stop at movies. He did the music for the Olympics and for the NBC Nightly News. He has done some incredible work since the release of this CD. The adventurous score for "Jurassic Park" and it's sequels, the haunting score for "Schindler's List", and the whimsical fairy tale score for "Harry Potter And The Sorcerer's Stone". 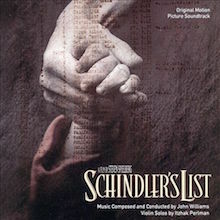 "Schindler" may be one of the all time greatest pieces of film scoring I've ever heard. It's not here, but we can hope that this CD gets updated!!. I hope John Williams continues to go strong well into the future. Movies won't be the same without him. Get this.